Mene's sculpture of a Jument Jouant avec un Chien or a Mare Playing with a Dog was exhibited at the Salon in 1859. It is number 34 in Mene's catalog and is also known as "The Good Companions". 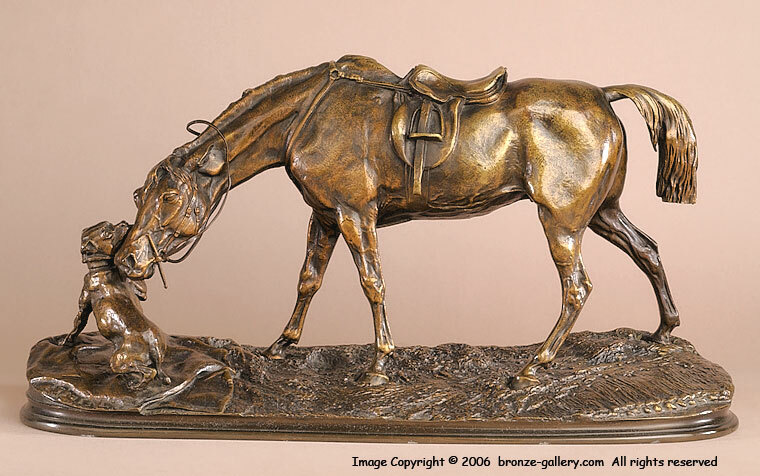 Mene created a sensitive portrait of the Mare nuzzling the small terrier, this is one of Mene's best works. 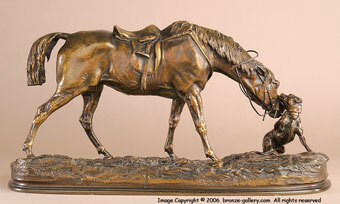 The bronze was cast in Mene's own foundry and is well detailed with a mid brown patina.